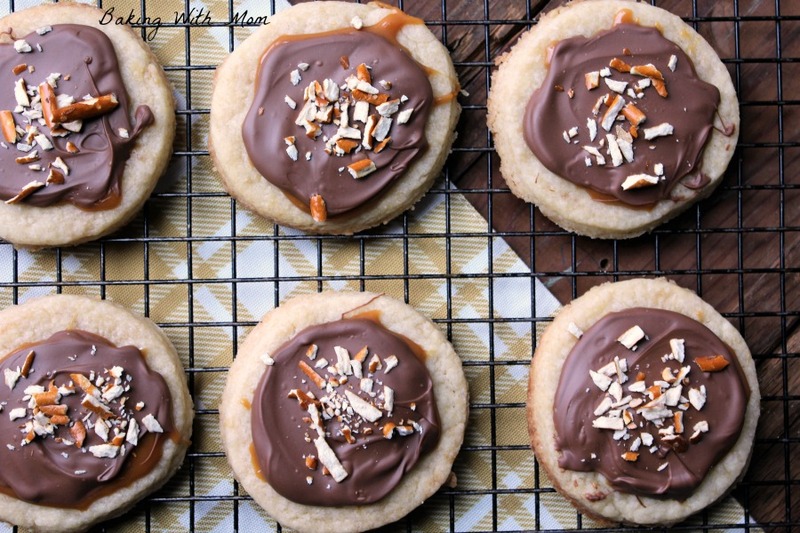 Caramel Shortbread Cookies with delicious (and easy to make) shortbread topped with caramel and chocolate. Add to the top salty pretzels and you have yourself a “WOW” dessert! I love sending our oldest, Ryan, food texts. After I make something delicious and worthy of cyber-fame, I send it to him to make him long for home. It’s not cruel, it’s just to remind him the fast food he is eating with the cross country team after a meet is no way better than my cooking. It’s job security. The caramel shortbread cookies deserved to be sent through cyberspace. And I got a text back from him. Except this time, he was at a race he wasn’t running in, it got delayed and he was there hours longer than he thought he would have to be and on the way home he didn’t have money to buy the food the team was buying. He may, MAY have been a little disgruntled. You know. Because of the hunger. He did appreciate the caramel shortbread cookies once he got home. He also begged for more than one. 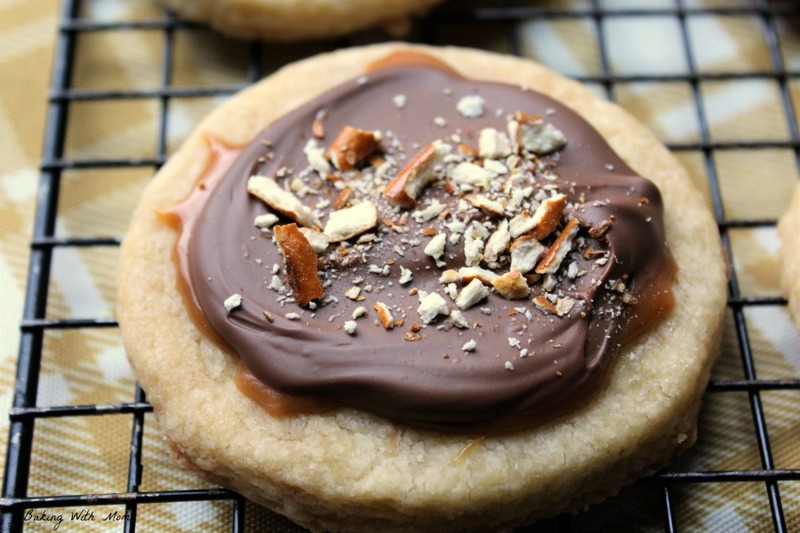 The shortbread cookie itself only has a few ingredients to it. There is 1 cup of butter (real butter) so it is not a frugal recipe but it is so good, it is easy to overlook. 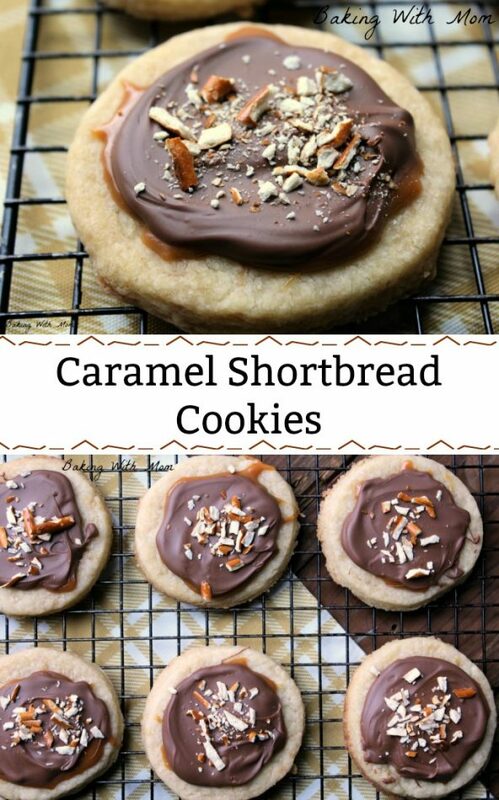 After making the shortbread cookie, you add the caramel on top. Then the melted chocolate chips. After each layer, you let it cool. It doesn’t take very long, just a few minutes in the fridge will do it. 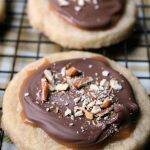 The flaky shortbread, the rich caramel and the yummy chocolate topped with crushed pretzels makes a dessert your family will love. 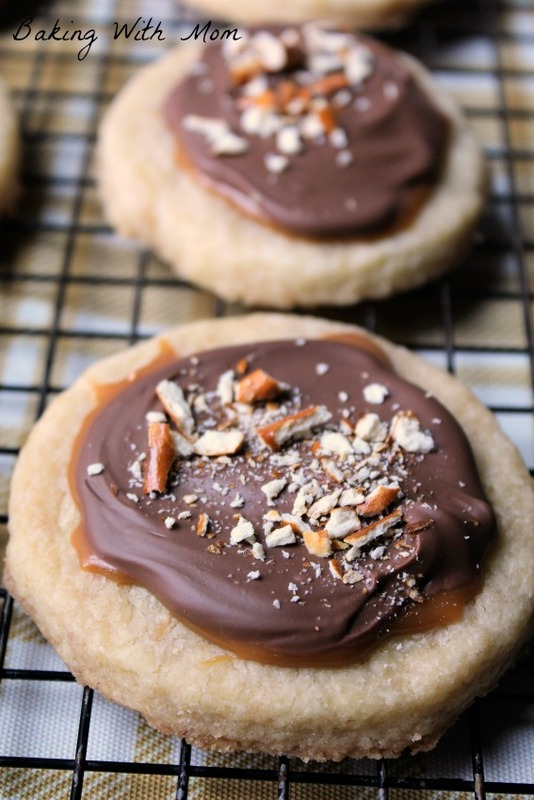 A flaky shortbread cookie topped with caramel and melted chocolate.